Sample 18" x 18" @ $6.98 (Includes Postage) and is typically mailed within 2 business days. Yardage - Whole Yards Only Note ! Shipment of an order quantity exceeding the 8 Yards we have in stock will be delayed 7-10 business days while we resupply. In stock yardage is typically shipped within 2 business days. 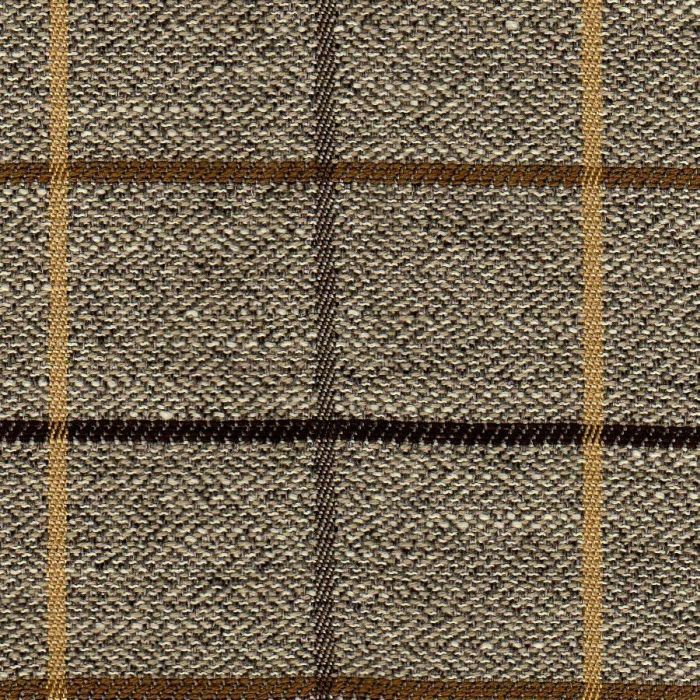 Dawn Branch is a woven fabric with the hint of a herringbone pattern overplayed with a window pane check. The colors of Cream and Gray in the background are accentuated by the Chocolate, Wheat and Antique Gold of the check. The checks measure approximately two inches in width and two and one quarter inches in height. Dawn has a look of a suit material and will work wonderfully in lodges, mountain homes, libraries, and man caves. It is both contemporary and transitional - a very versatile design. Dawn is suitable for drapery, curtains, cornice boards, pillows, cushions, bedding, headboards and furniture upholstery.